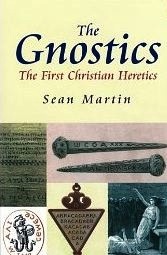 The new edition of Sean Martin's book, The Gnostics: The First Christian Heretics, has been expanded to include a short discussion of gnostic themes in David Lindsay's A Voyage to Arcturus. The new edition can be ordered from Amazon.co.uk , though note that the Look Inside feature at present links to the previous (2006) edition. The Kindle edition is also based on the old edition, which means it does not include the section on Lindsay.